Chinese Smartphone make Huawei ,that know for its awesome smartphone is up again with Huawei Y7 , this one is coming with a massive 4000mah battery capacity and its shipped with an Android 7.0 nougat version ,the rest of the specs are also nice. The Huawei Y7 is packed with a 1.4GHz octa-core Qualcomm Snapdragon 435 processor, coupled with 2GB RAM and 16GB of expandable storage. The smartphone also spots a 5.5-inch display with HD (720p) resolution, as well as a 12-megapixel rear camera with 1.25 μm pixel sensor and PDAF (phase detection autofocus). 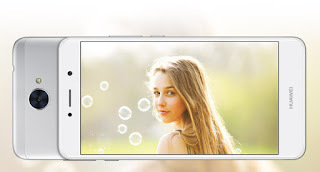 And for lovers of selfie it has an 8.0 mega pixel front facing camera for excellent shots.the Huawei Y7 features a metal body, but a plastic frame. The front side is coated in 2.5D glass, while the back side has a sandblasted surface. And its other selling point is it 4000mah battery capacity for long usage. Price is yet unknown but shall be passed on the later. This remind me of Samsung, the way there mobile was just melting lmao, though 4000mAh is indeed cool and great. My gionne m5 mini is also 4000mAh buh it last for 10hours, in addition 1%=10min.. cool post though. Thank you. its gonna be a dope one' cus the battery will still last a little.